Once associated with Tibetan Monks, mala beads are now frequently seen around the necks and wrist of yogis. 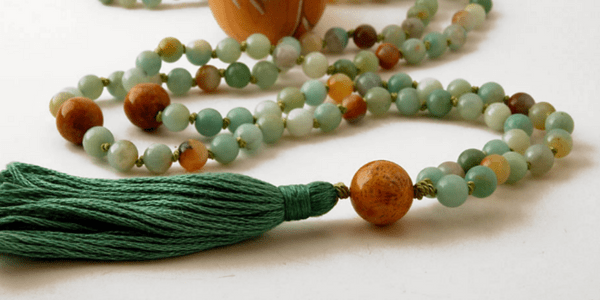 What exactly are mala beads? 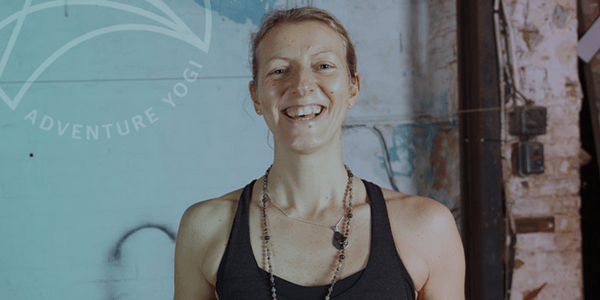 AdventureYogi teacher Rosalind Southward delves a little deeper into their history and meaning. A mala is a necklace which is used as a tool to aid in meditation or prayer. Many cultures use prayer beads, rosaries or worry beads as part of their spiritual practice. It is said that the ancient Rishis of India first used mala beads as a way to help focus their distracted “monkey minds” during meditation. This tradition then spread out from Hindu and Buddhist cultures into other communities worldwide. How many beads does a mala have? A mala typically has 108 beads plus one larger bead at the bottom known as the guru bead. Sometimes a mala might have double this number – 216 beads, or a multiple of it such as 18, 27, or 54. Shorter malas might be worn around the wrist rather than the neck. The number 108 has long had a special and auspicious meaning in the Vedic tradition. It is said that there are 108 Upanishads (sacred texts), 108 marma points in the body, and 108 lines of energy joining to form the heart chakra. There are 54 letters in the Sanskrit alphabet – one masculine and one feminine (Shiva/Shakti) 54 multiplied by 2 = 108. These are to name just a few! Why are they called a “mala”? Mala is the Sanskrit for “garland”. “Japa Mala” is the name given to mala beads used for meditation. “Japa” means repetition. It refers to the practice of reciting a mantra whilst using a set of mala beads to maintain both a focus and to keep count of the repetitions. 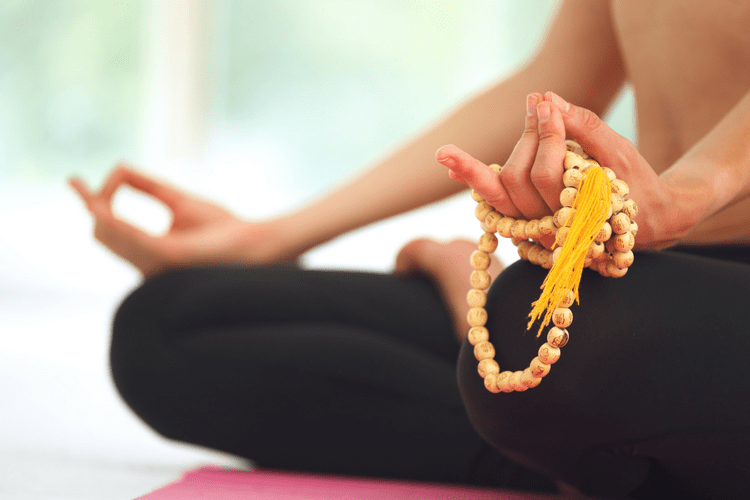 How do I use mala beads for meditation? Hold your mala beads in your right hand (the left hand is seen as impure in many eastern cultures). Start with the bead to the right of the guru bead (the larger bead at the end of the mala). Hold the bead on the middle finger and lift your index finger so it is out of the way. The index finger has strong associations with the ego and so is never used in devotional practices or meditation. Repeat your personal mantra or intention either silently or aloud, and then use the thumb to move the mala towards you, repeating your mantra for the next bead and so on. When you get back to the guru bead you will know you have repeated your mantra 108 times. The mantra you use is entirely personal to you – it might be a Sanskrit mantra, a dedication to a deity or an affirmation that you are working with. When you get to the guru bead you can hold it and say a prayer to your teacher or deity you wish to honour, or set your intention to finish your meditation. Nowadays there are many malas available and people often choose what best resonates with them in terms of colour or for the meaning of the stones. Wearing your mala can then be a great way to remind yourself of your intention as you move throughout your day. Rosalind is not only one of our fabulous Yoga teachers here at AY and specialises in Forrest Yoga, she also makes these beautiful Mala necklaces. 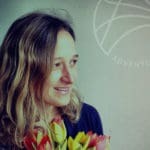 She makes the mala beads custom and bespoke designed, using a variety of wooden beads, lava stone and semi-precious stones. You can view her designs on her business Facebook page Anjali Energy. Contact Rosalind here to place an order or discuss a bespoke design.